It’s been a year to the day since we reivewed TwistedWave, and I’m happy to say that they just came out with a brand new version of their audio editor that is better than ever. The sample rate conversions are done with SoX one of the best available implementations available. Normalizing to a target RMS, LUFS or true peak value, in addition to the peak value. Support for the 32-bit floating point codec in the WAV and AIFC files. As you know, we’re always looking for new tools that make a founder’s life easier. Well, TwistedWave is a gem. 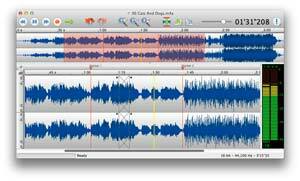 It’s an easy-to-use and powerful audio editor. 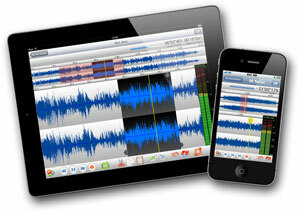 The interface is simple enough for any non-techie to understand but powerful enough for professional sound editors. Whether you’re tweaking sounds for your new marketing video or preparing a demo for a trade show, TwistedWave makes it easy to manipulate and edit sounds. It supports Audio Unit plug-ins and many file formats, including wav, aiff, caf, mp3, mp4, FLAC, Ogg/Vorbis and ambisonic sound files. It also offers excellent multichannel support. You can easily add, remove or reorder channels. You can also apply Audio Units to multichannel files, or to a selection of channels. So once you learn it, you can use it everywhere. And it supports up to a 24-bit and 192 kHz sampling rate, allowing for professional quality audio. One feature we can’t live without is unlimited undo and redo. Zooming in and out of the waveform is very fast. Option-click and drag the mouse to zoom very accurately, while the waveform is being refreshed more than 100 times per second, even when the files are several hours long, or when the file has not finished loading, or when an effect is being applied. Another nifty thing is that all the work happens in the background, so when TwistedWave is busy loading a large file, or applying a complex effect, you can continue working on other things. And if that’s not enough, they have a Mac version, an online version and an iPhone/iPad version.